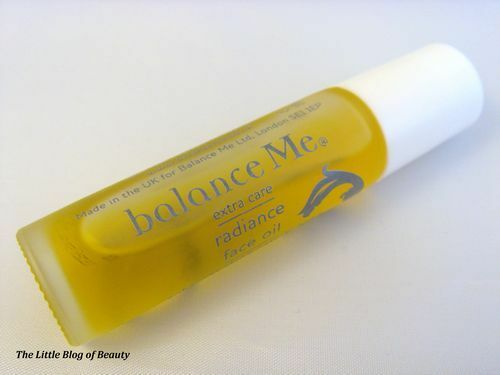 This is a product that I really wanted to try after using another Balance Me product which I really liked. When I saw an unused mini version of this on a blog sale (http://lottieslittlelife.blogspot.co.uk/) I jumped at a chance to try it. ‘Don’t be afraid to use if your skin is prone to congestion as oil on oil is extremely balancing, hydrating and comfortable to wear’. So I decided as with other oil products I would give this the benefit of the doubt. 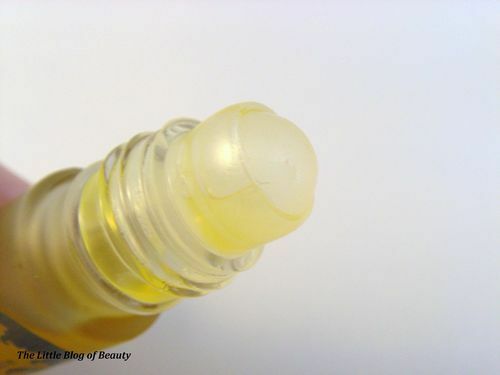 The rollerball makes this very easy to apply. I roll this once round my face and down my nose and then use my fingers to massage this into my face in circular motions. Sometimes I use this on it’s own or if my face is particularly dry then I apply a moisturiser over the top. After I have left this to settle in for a couple of minutes my skin feels smooth and soft with no oily residue. What really surprised me when I first used this though was when I wore makeup the following day. I have always suffered with breakouts on my chin (and it’s apparent I’m not going to grow out of this) and within a few hours of applying makeup my chin tends to produce oil and start to lift my makeup off (sorry for the gross details!). However, after around 7 hours I noticed that my chin was pretty much clear of oil. So apparently oil on oil is indeed balancing. Due to years and years of breakouts on my chin I inevitably have some scaring and I’ve been pleased to note that there has been an improvement in the overall appearance of the scars, which is amazing! One thing I have noticed is that there is a slightly strange smell to this oil that I can’t quite place. 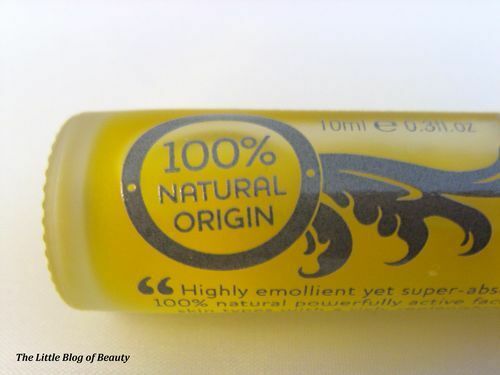 This is most likely because the product is 100% natural and contains several different types of oils. The smell is not unpleasant as such or overpowering it’s just unusual and once the oil has absorbed you can no longer smell it. 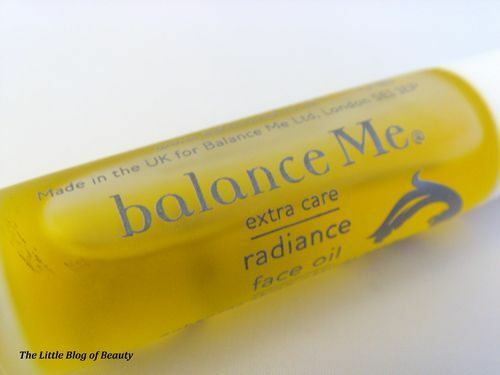 I’m pleased to be able to add this to my list of star products (you can find my star products on my Pinterest board http://pinterest.com/lilblogofbeauty/my-star-products/) and would recommend this to anyone, even if you have oily skin. 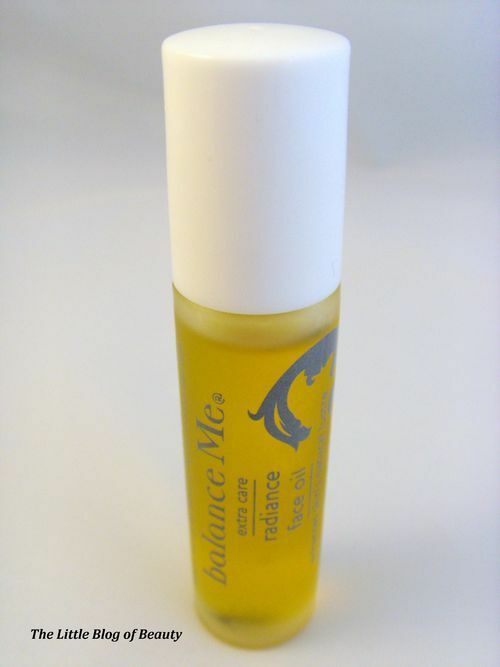 You can purchase Balance Me’s Radiance Face Oil from their website https://www.balanceme.co.uk/ priced at £30 for 30ml or £15 for the mini size of 10ml.